The Alpena Area Convention & Visitors Bureau gives you all the points of interest, attractions and maps to help you plan your trip to the Alpena region. We represent an area of everything that is roughly within a 60-mile radius of Alpena. 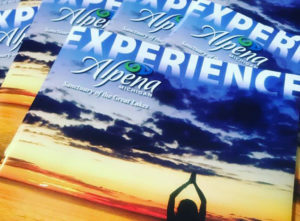 View and download the Experience Alpena Visitor’s Guide online. How did you hear about visitalpena.com?